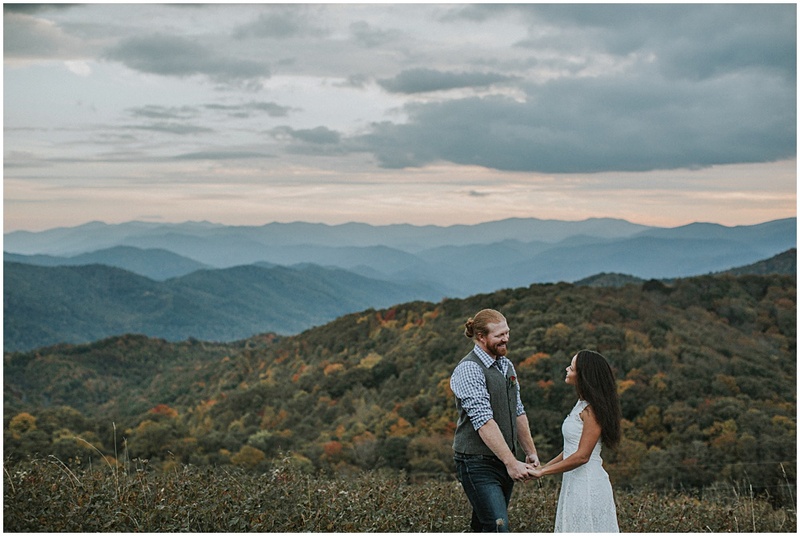 Brittany and Adam decided to elope and about a month later they were driving up from their home in Georgia to meet me in North Carolina. 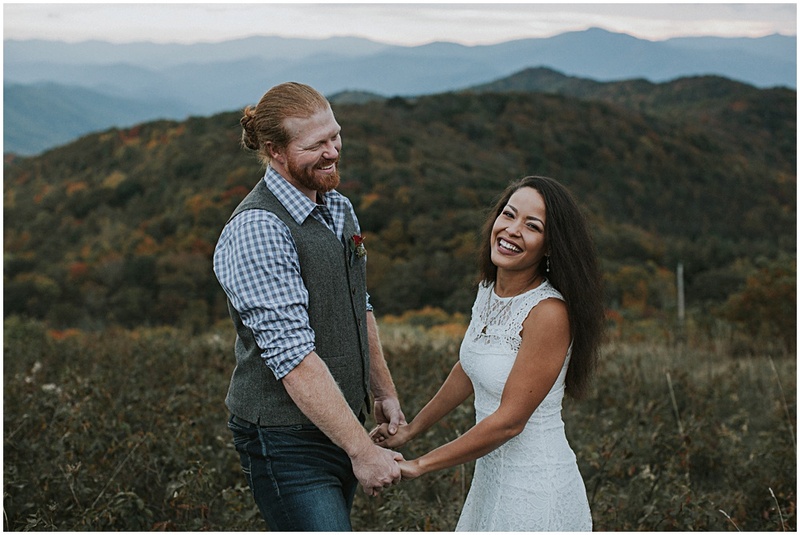 Nobody knew they were getting married. 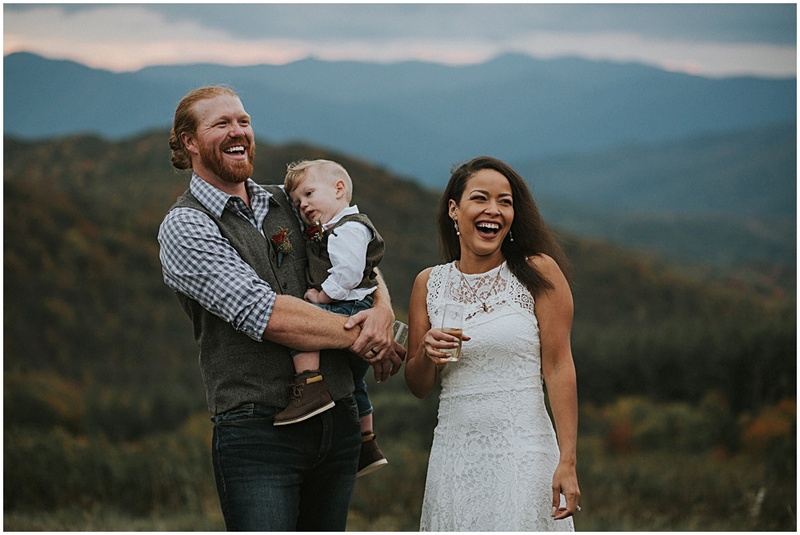 Not even their parents. 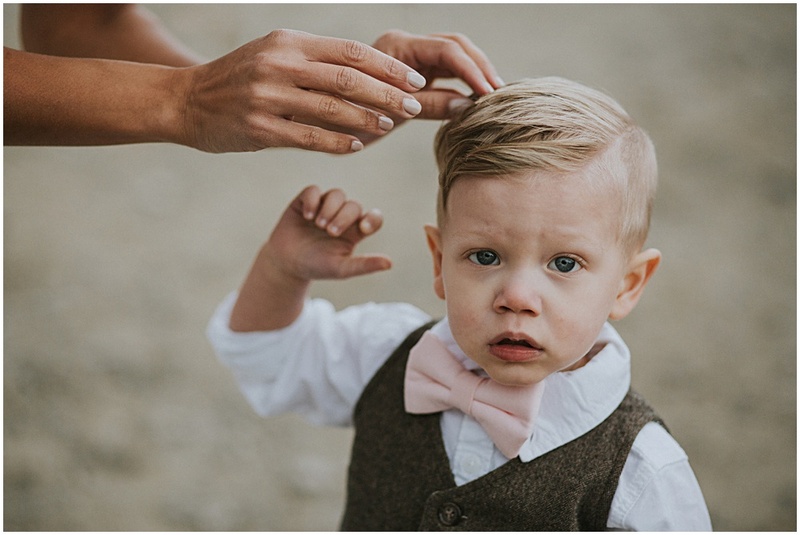 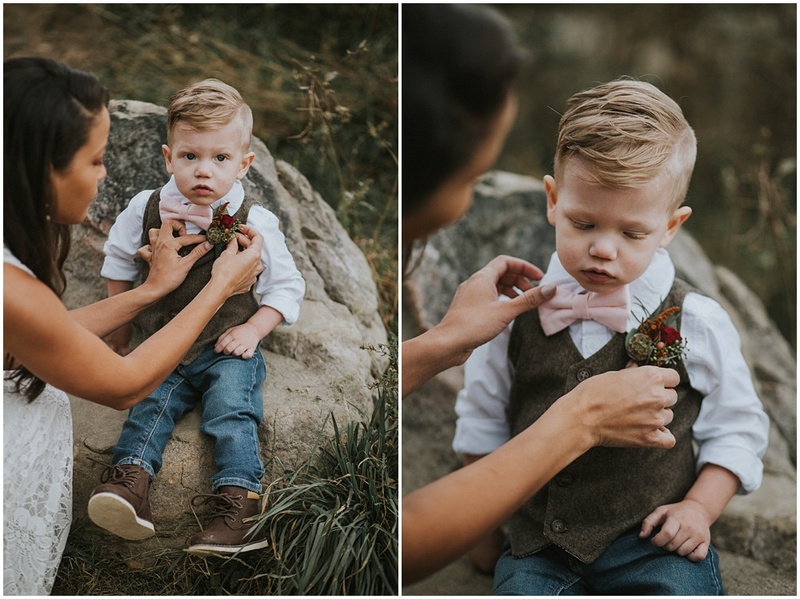 The only attendants were a couple friends, their officiant, and their son AJ. 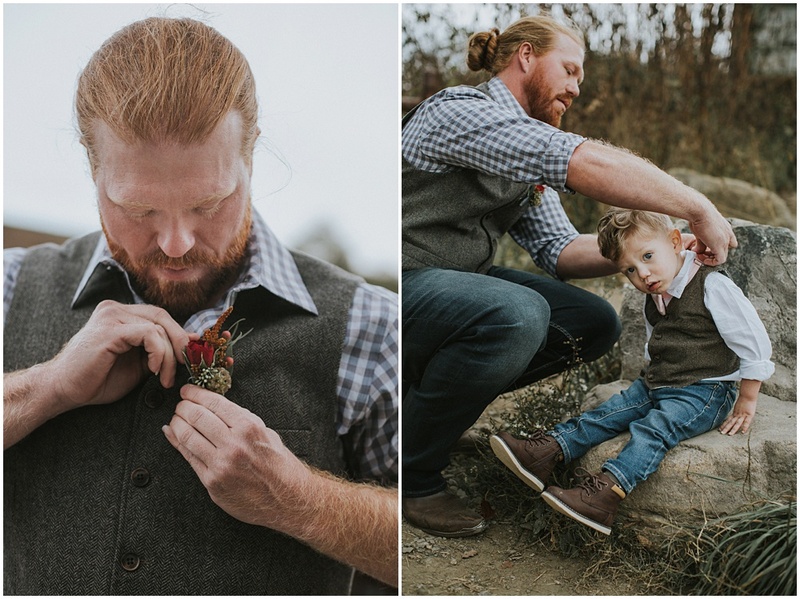 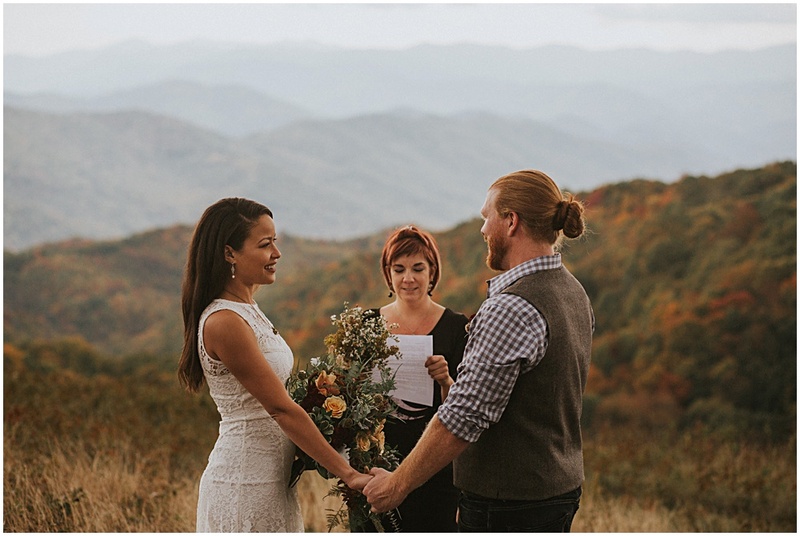 They couldn’t have chosen a better time of year to get married. 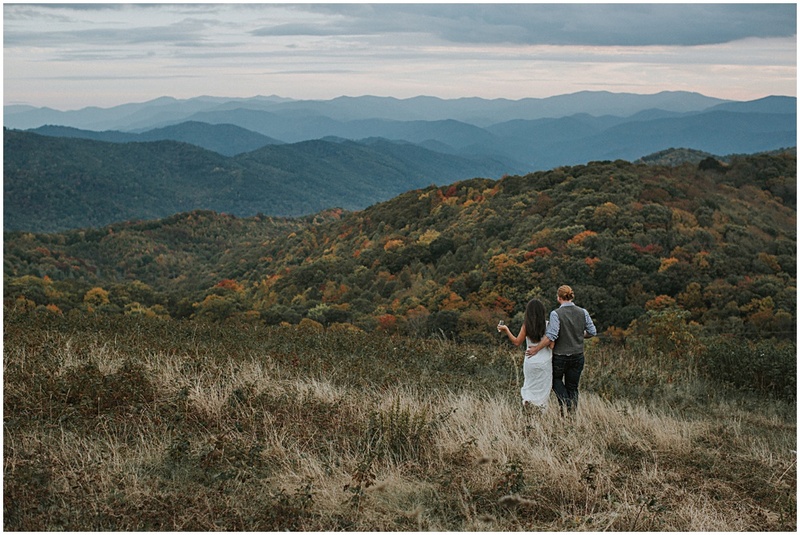 It was October and the fall colors were at their peak in North Carolina. 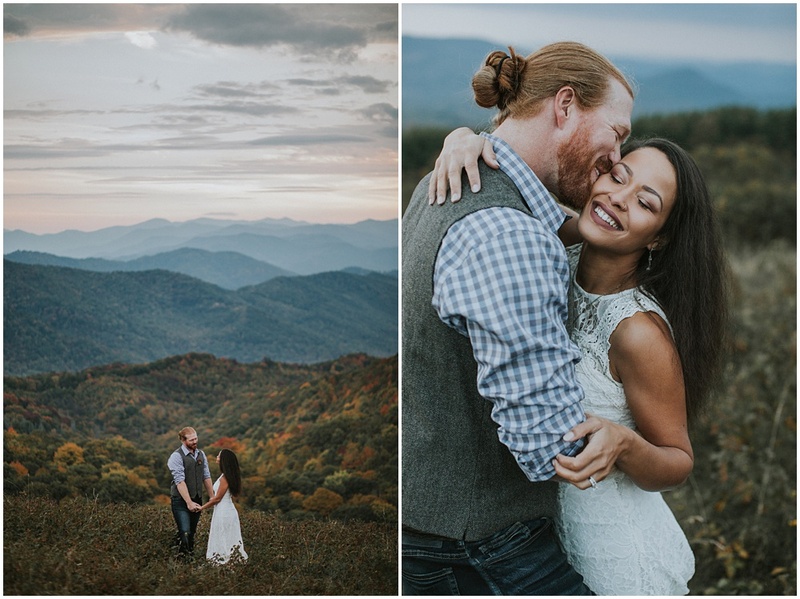 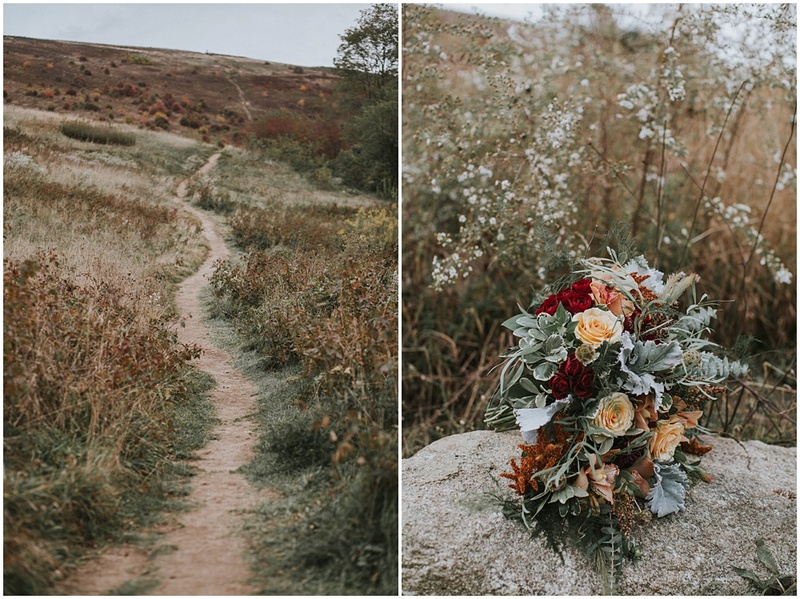 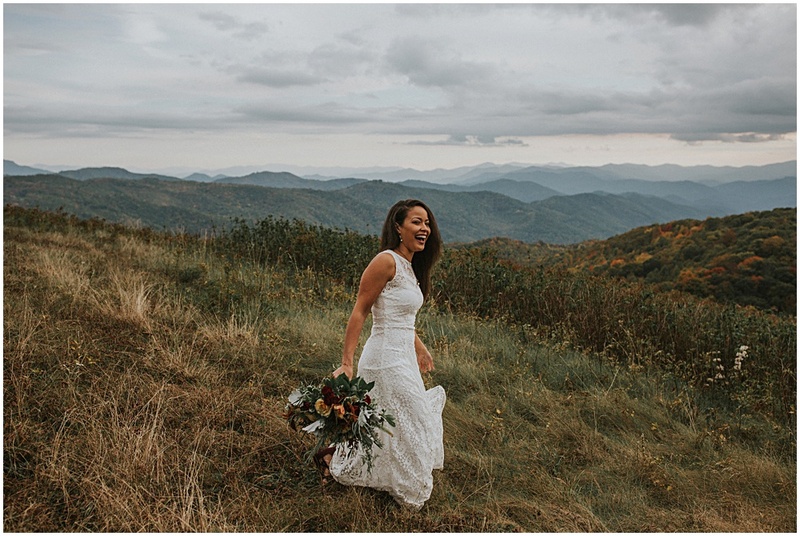 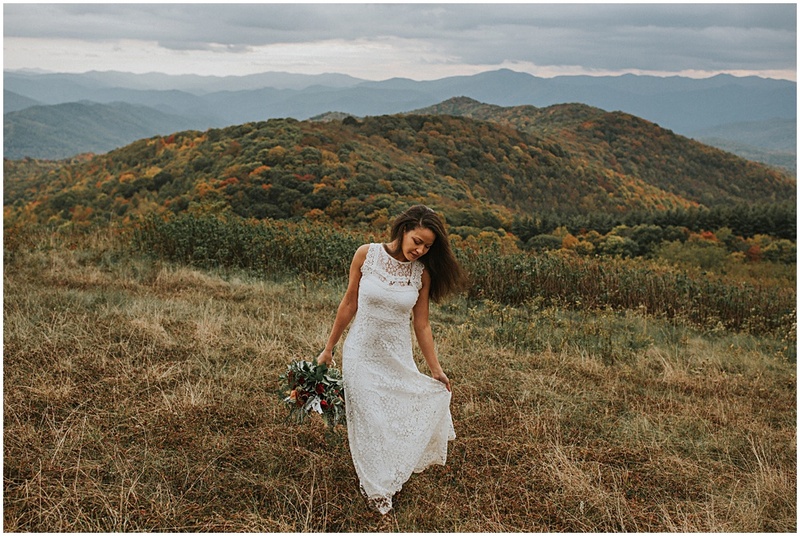 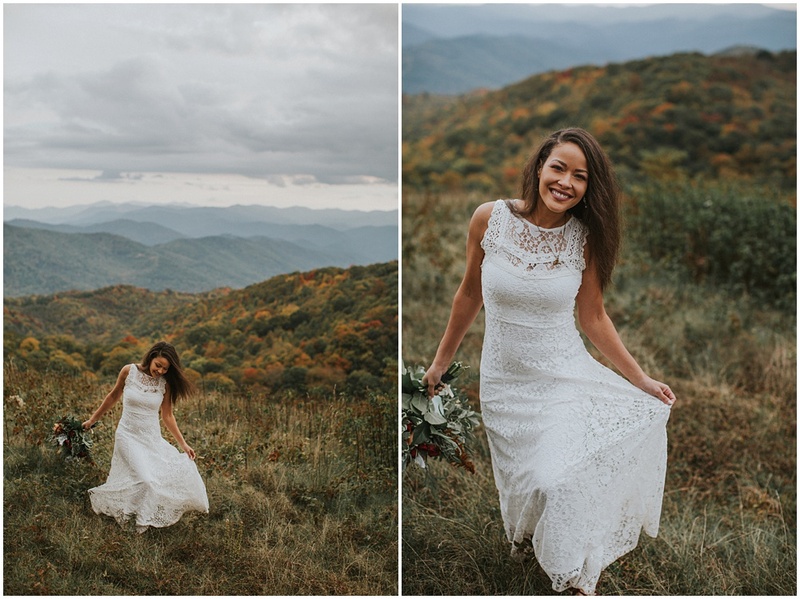 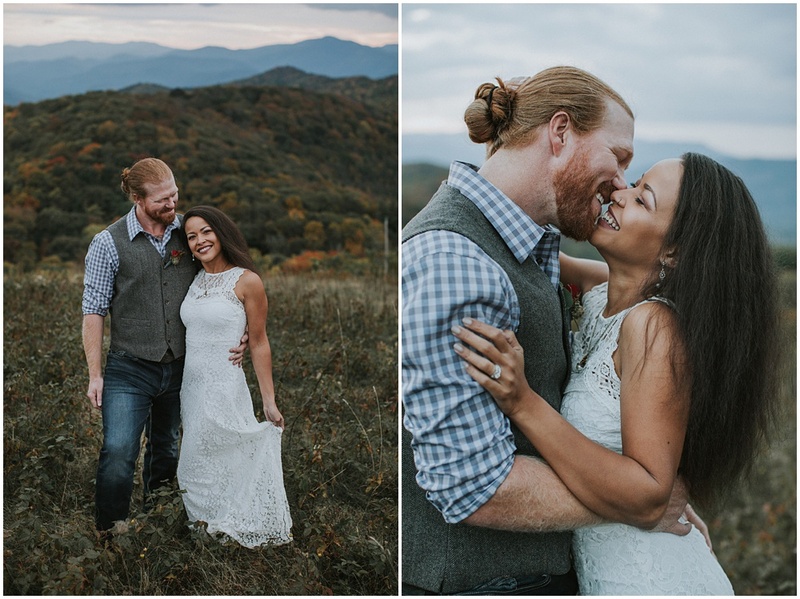 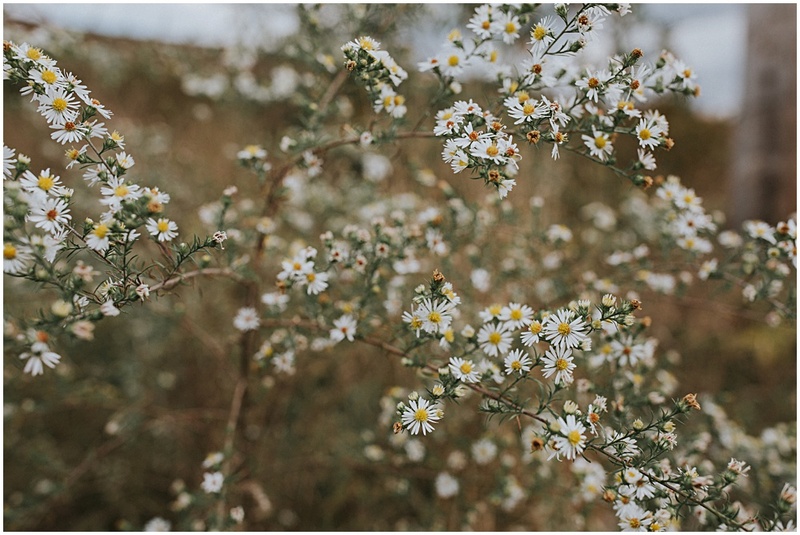 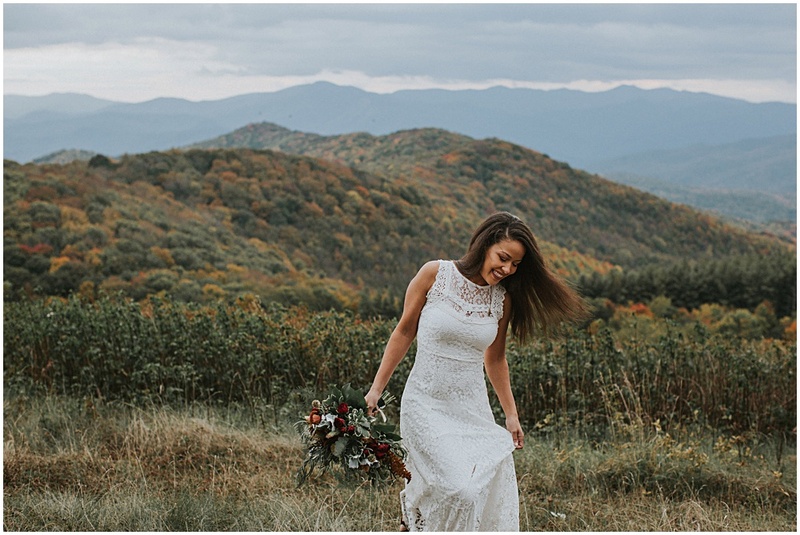 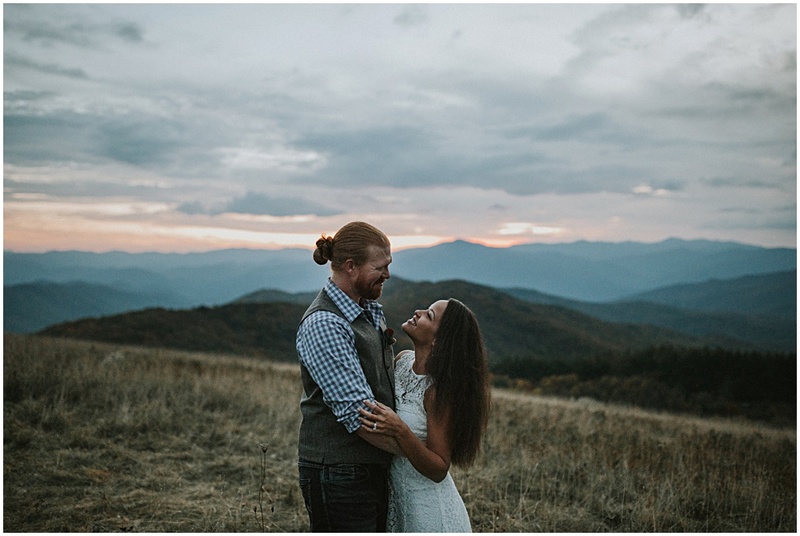 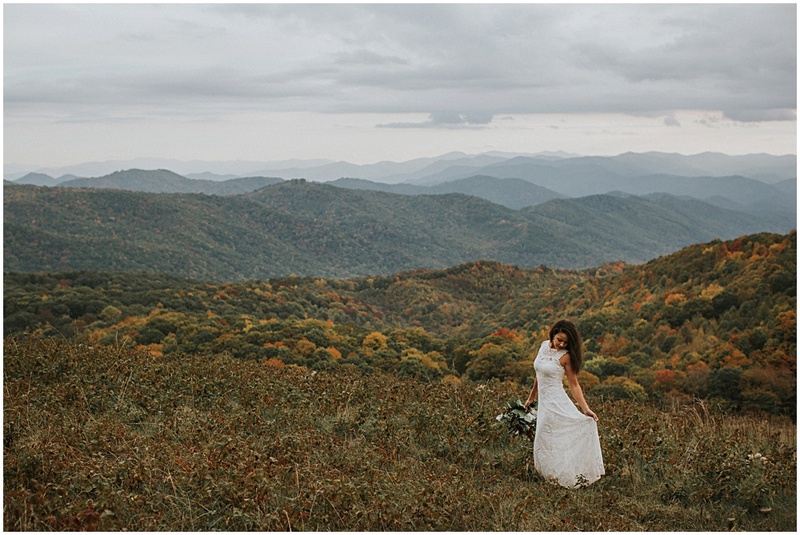 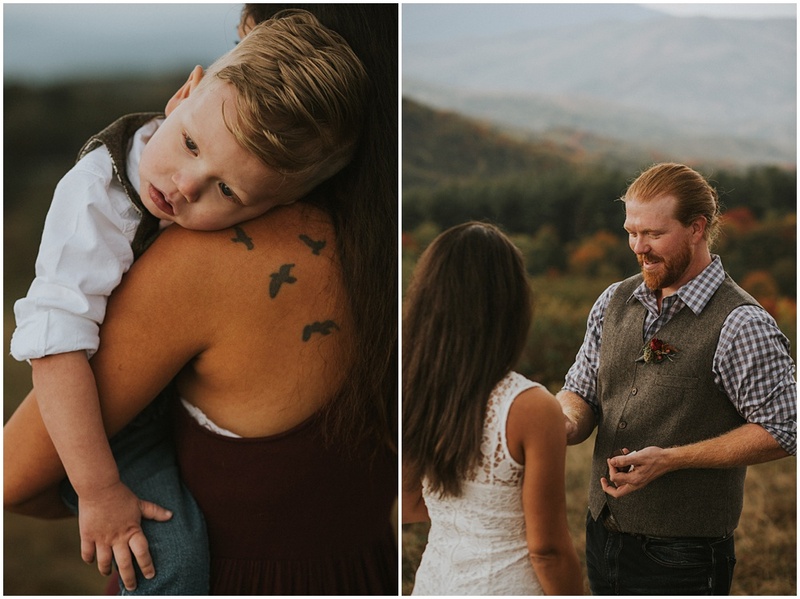 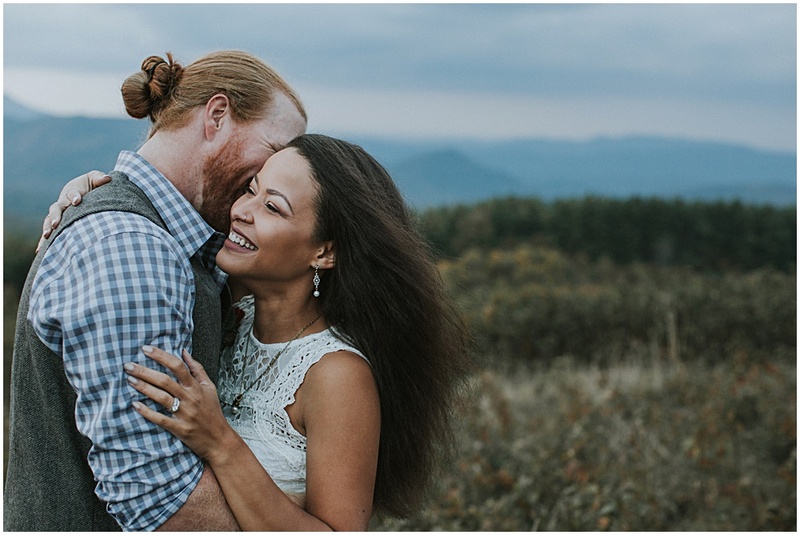 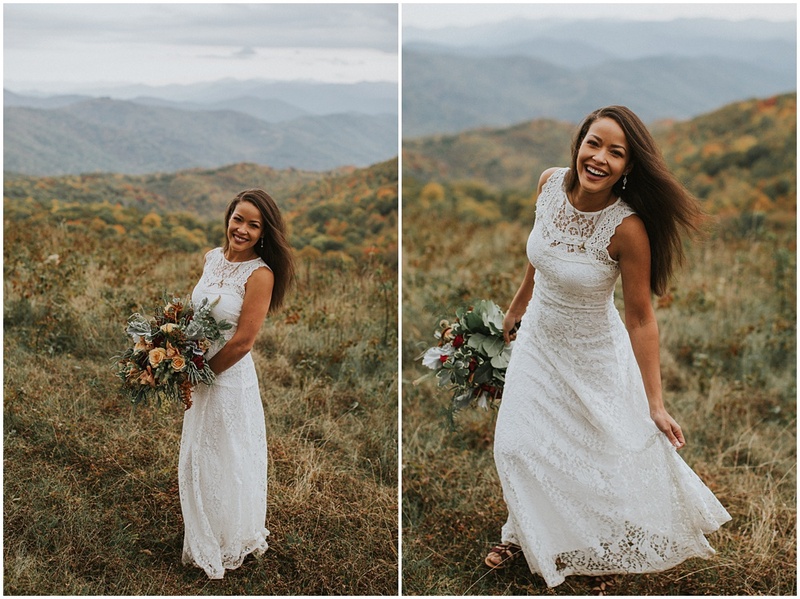 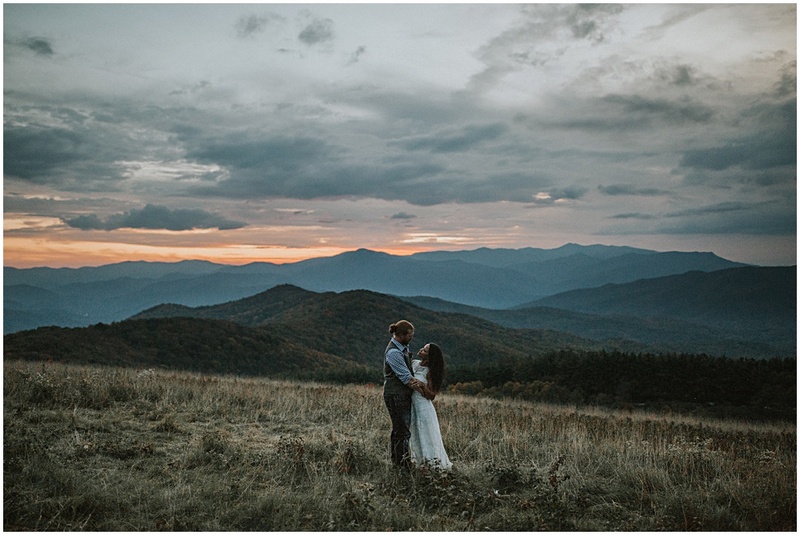 Brittany and Adam asked me to choose a location for the ceremony and I knew Max Patch would be absolutely glowing this time of year. 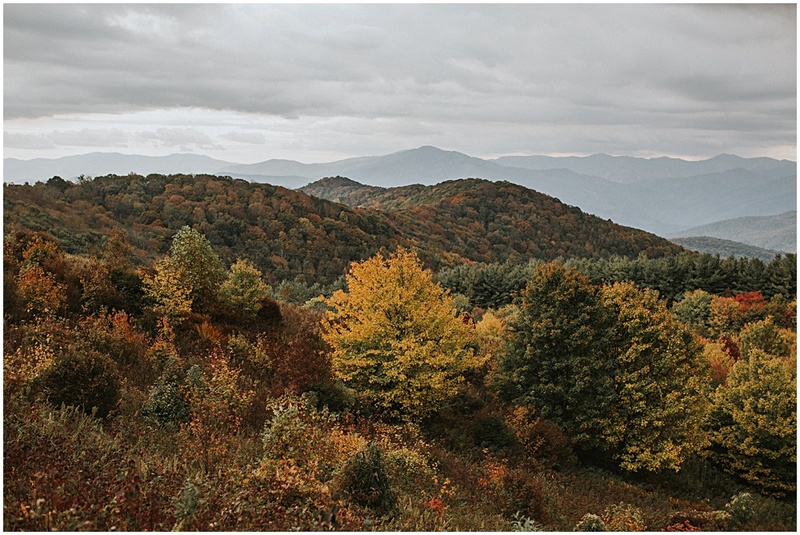 I’ve backpacked Max Patch and it’s one of my favorite hikes along the Appalachian Trail. 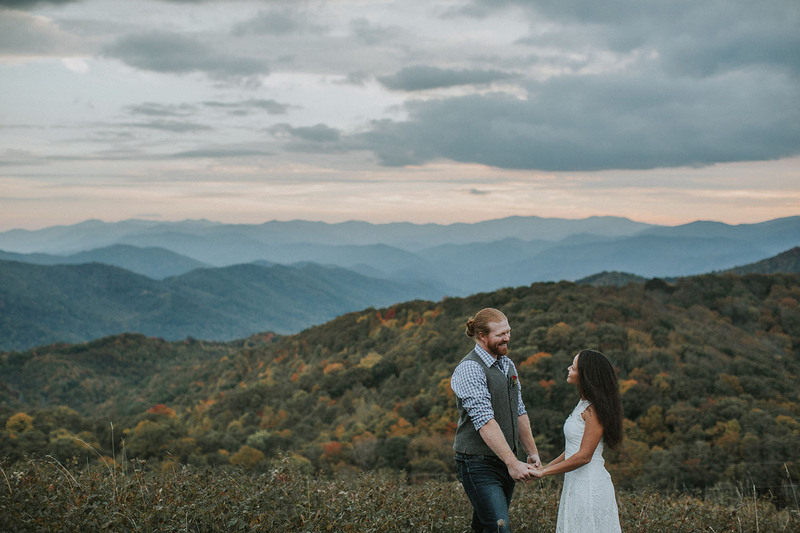 When you get to the top of the mountain, you’ll find 360 degree views of the Blue Ridge Mountains. 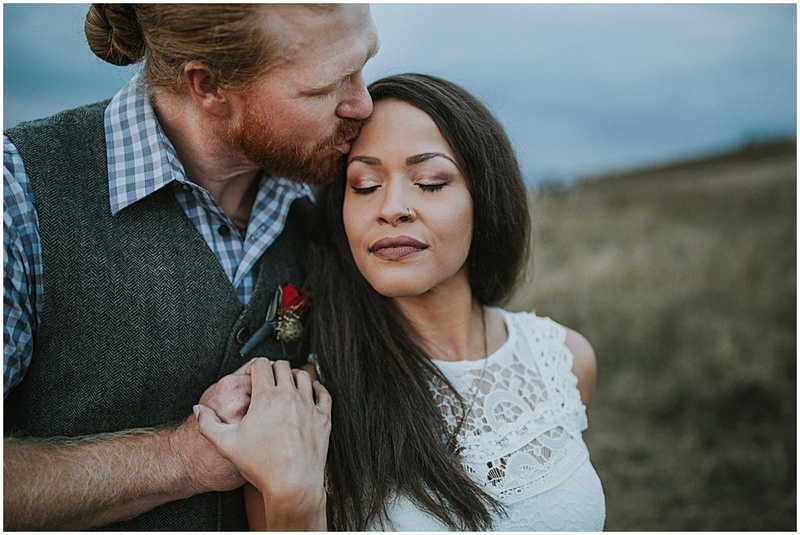 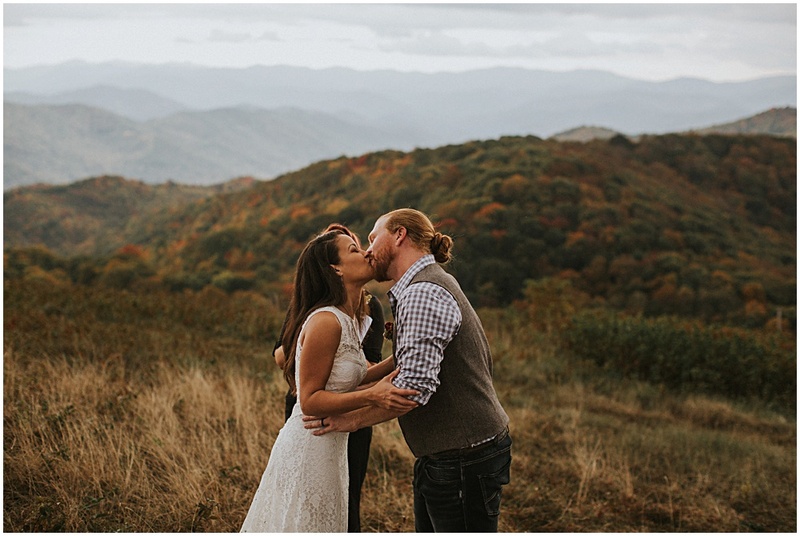 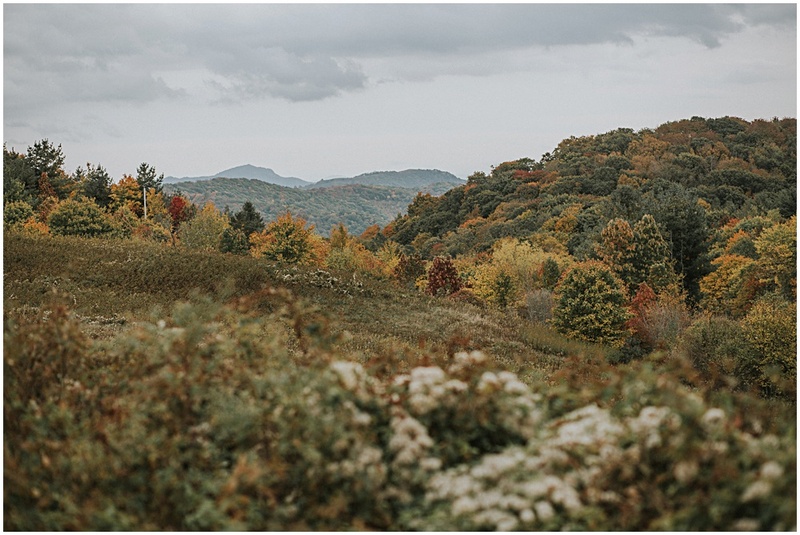 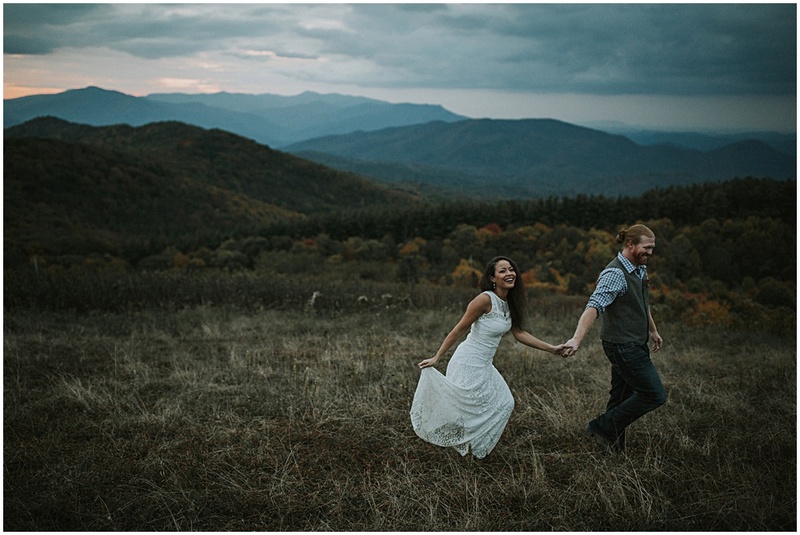 I drove to the trailhead of Max Patch a couple days before the elopement and sure enough the colors were gorgeous. 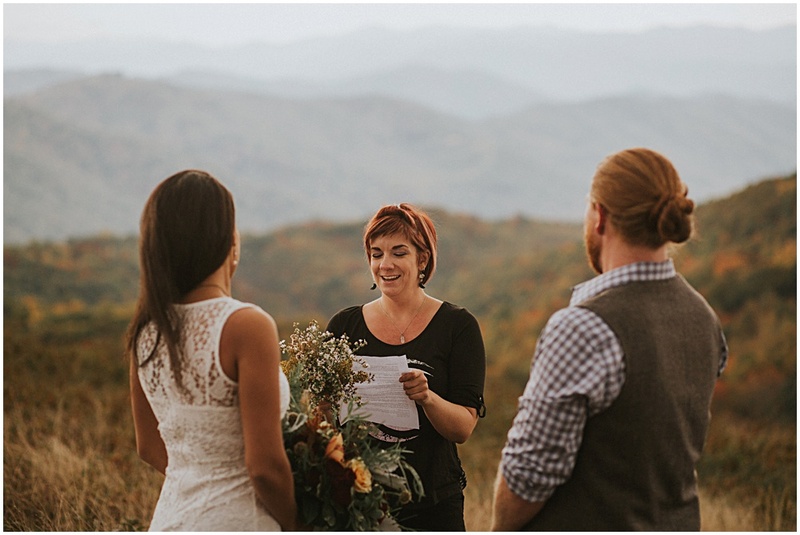 Then I hiked up and scouted out the perfect ceremony site on top of Max Patch. 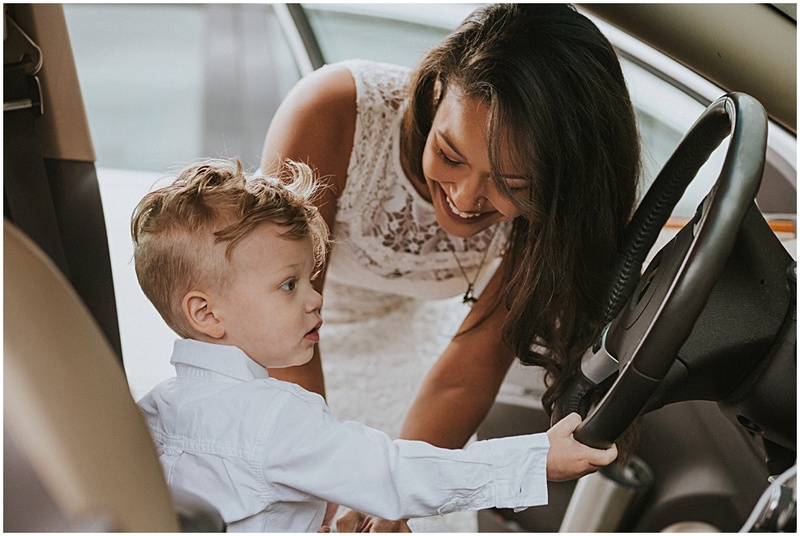 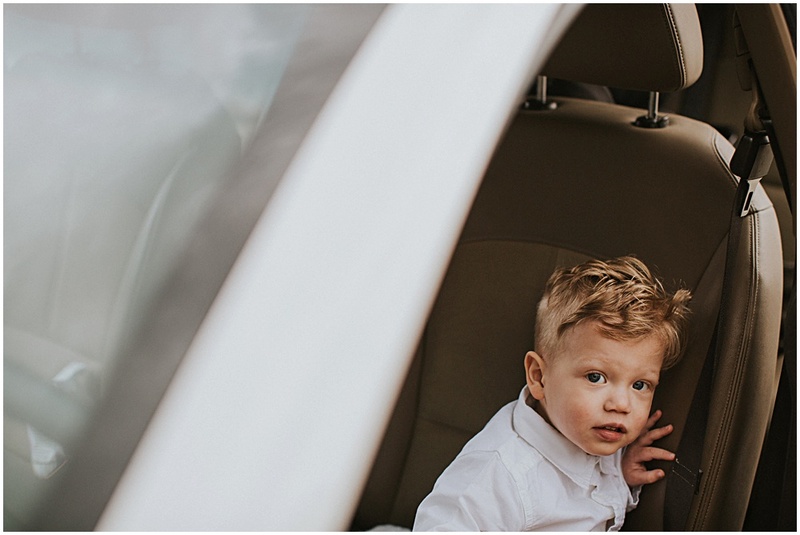 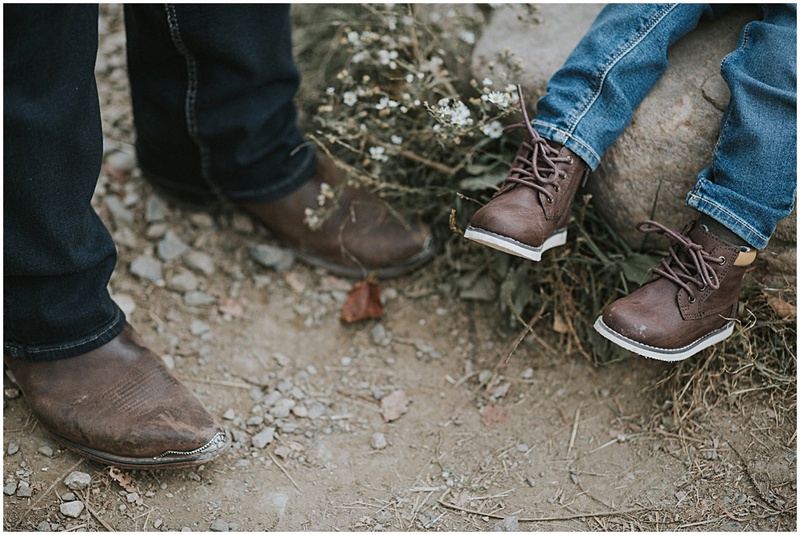 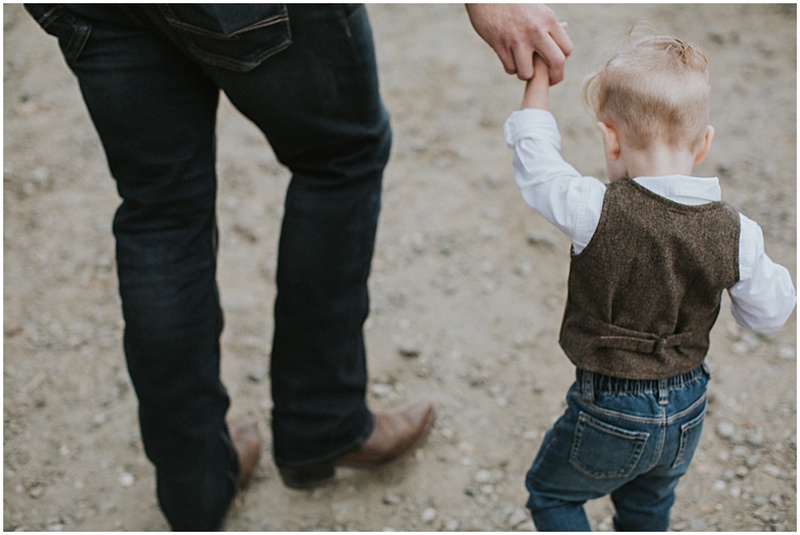 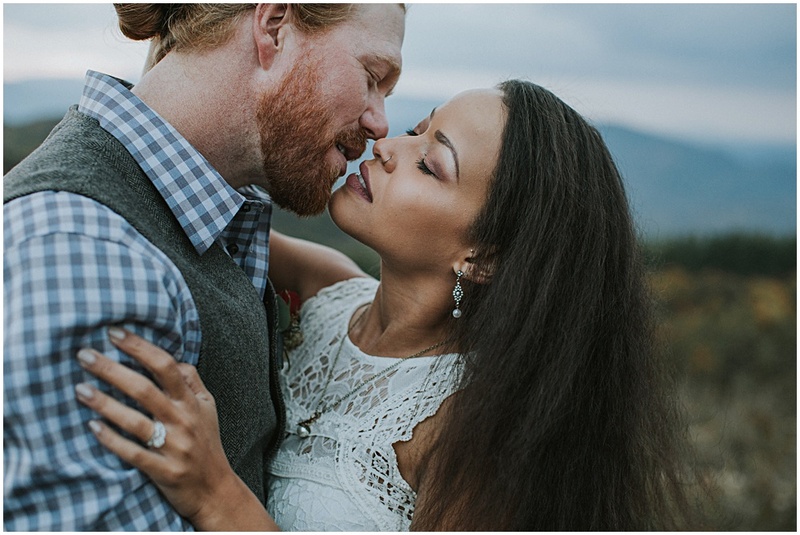 The morning of the elopement, I met Brittany, Adam, AJ, and friends down in the parking lot. 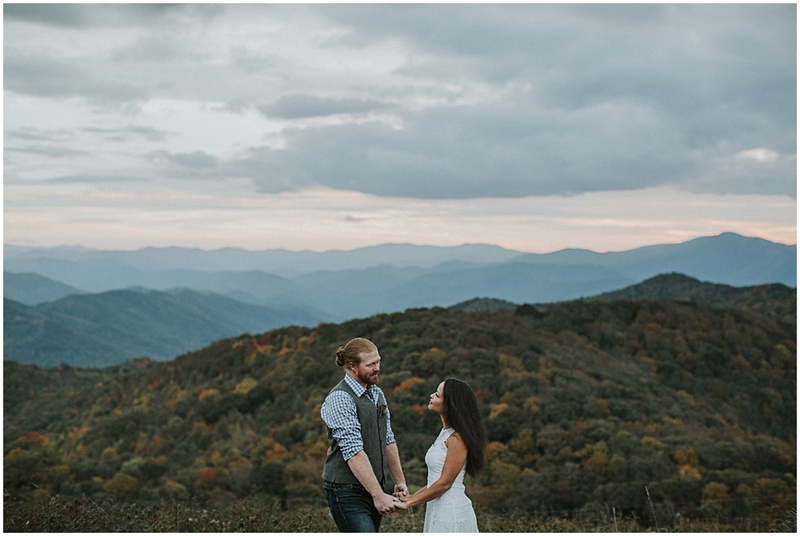 It was a bit of a hike up to the ceremony site, but well worth it for the views. 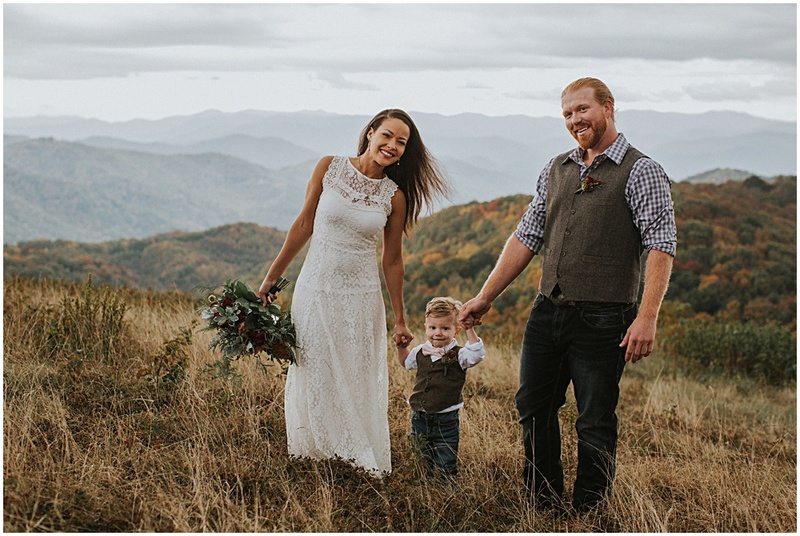 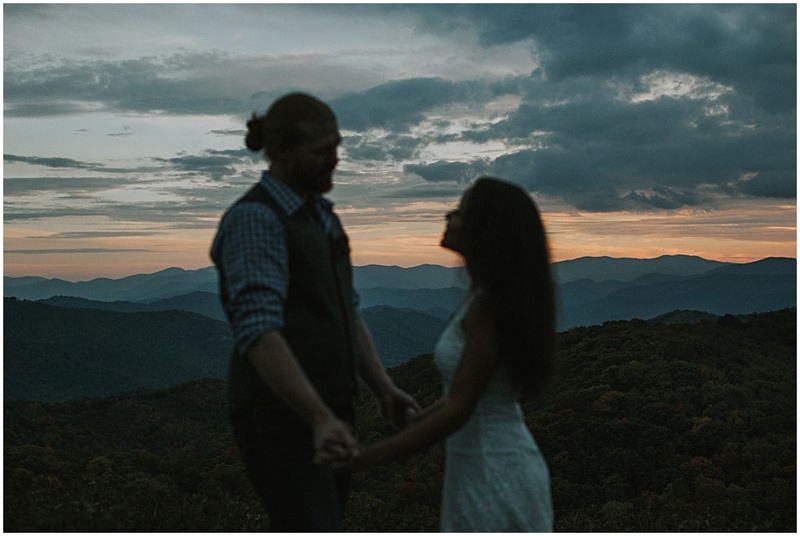 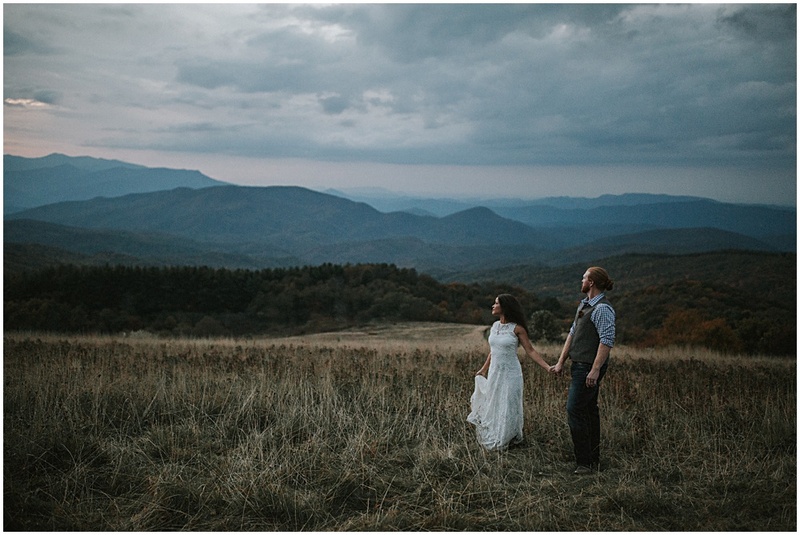 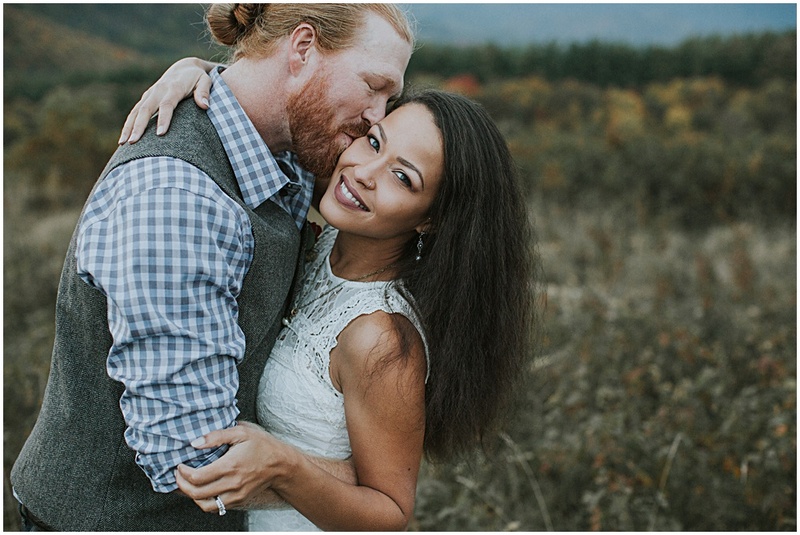 Brittany and Adam shared their vows as the sun set behind the Blue Ridge Mountains. 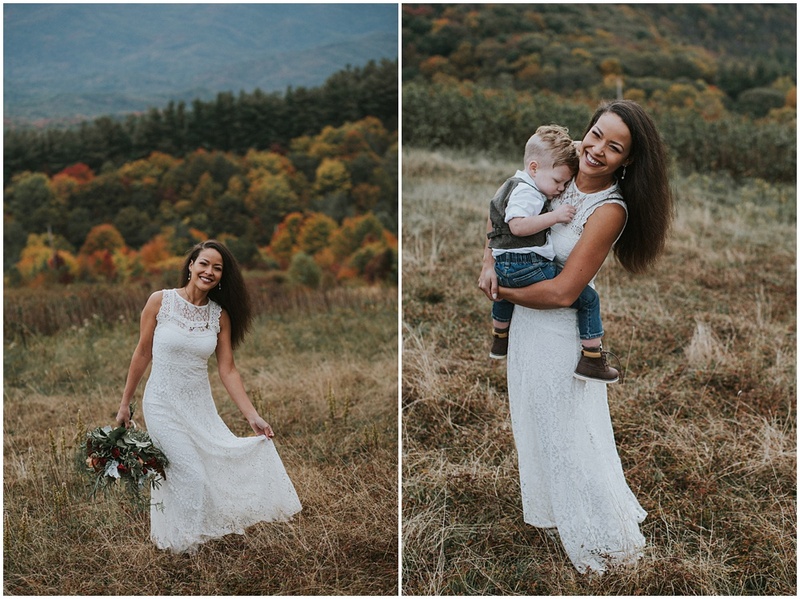 The sunlight intensified the beautiful fall foliage and I took off with Brittany and Adam for some couple’s portraits. 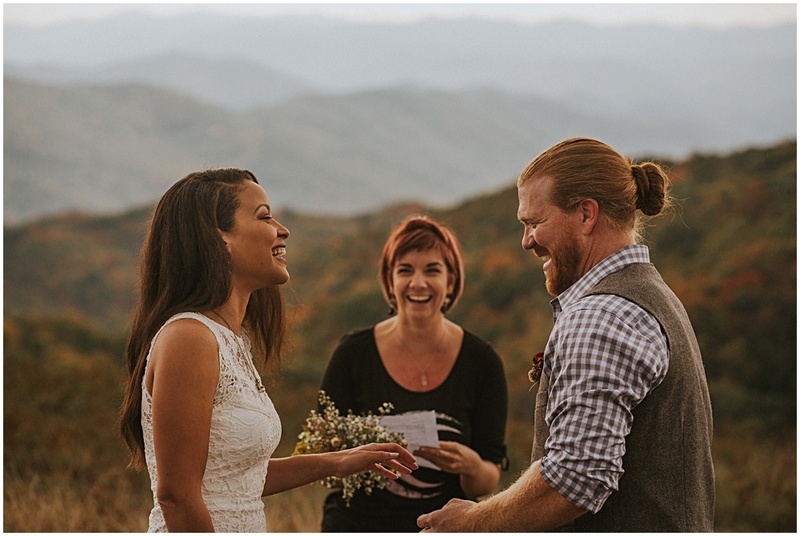 We opened a bottle of champagne to celebrate and found some friendly hikers gathering around to play music. 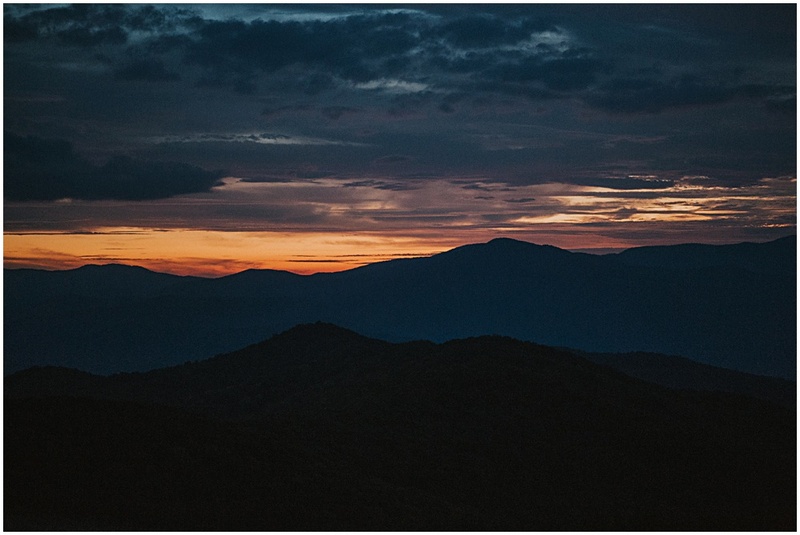 Sounds of guitar and laughter echoed across the valley as we shot well into the blue hour. 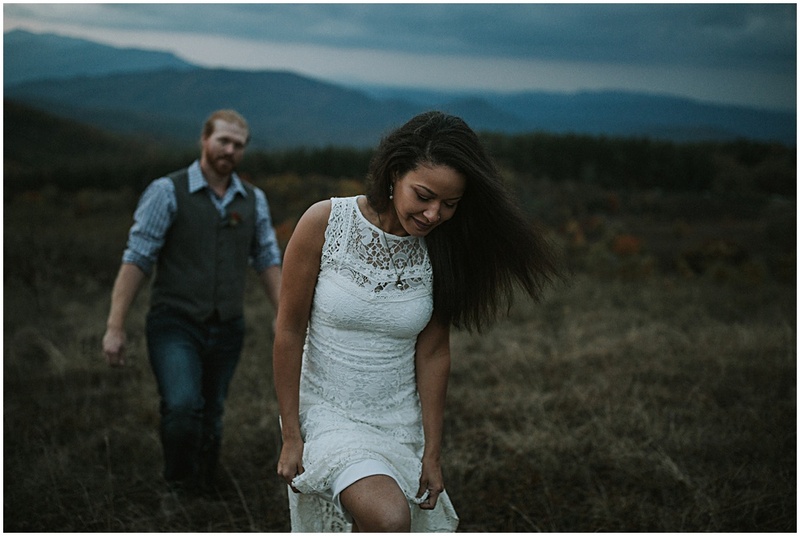 Then we hiked back to the trailhead under the light of a full moon. 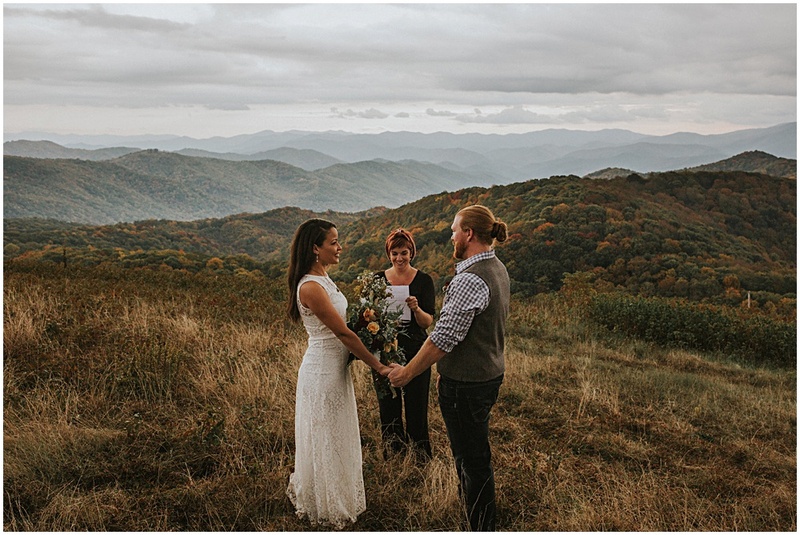 What a beautiful and simple wedding ceremony. 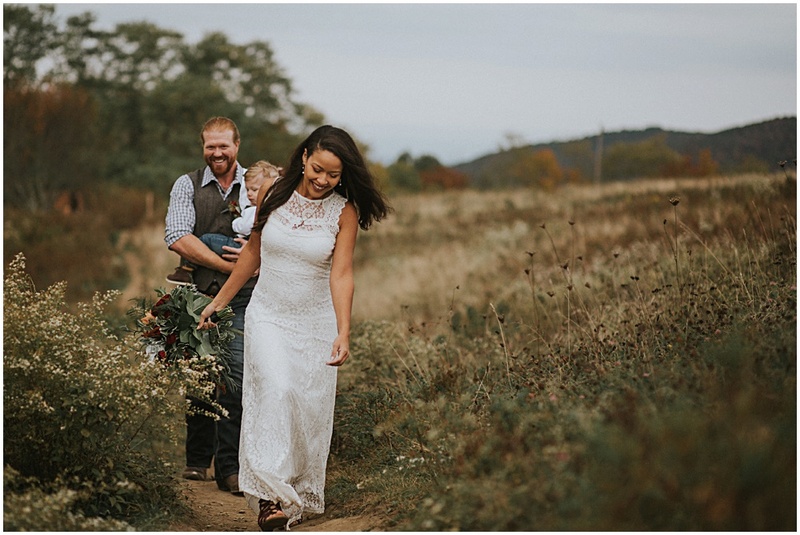 Thank you Brittany and Adam for including me on your special day.